Gary Cooper, Madeleine Carroll, Akim Tamiroff et al. Soldier of fortune O'Hara falls into a conflict between warlords when General Yang and General Wu each attempt to purchase arms to control the Chinese provinces. 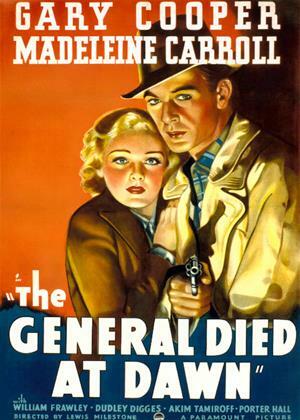 Single-minded American Peter Perrie, desperate to get money to return home with his daughter Judy (Madeleine Carroll), intervenes, abducting O'Hara and stealing the gun money. The wrath of the warlords come down on all, and O'Hara finds his loyalties are sorely tested when he falls in love with Judy.